A scoop down the shore makes for a perfect summer night in Jersey. Monmouth County, New Jersey is known for its variety of food and things to do outside. From Surf Taco to Rook Coffee and Broad Street Dough Co., MoCo is definitely not a disappointment. There’s no better way to end a day a the shore than with a delectable ice cream cone. 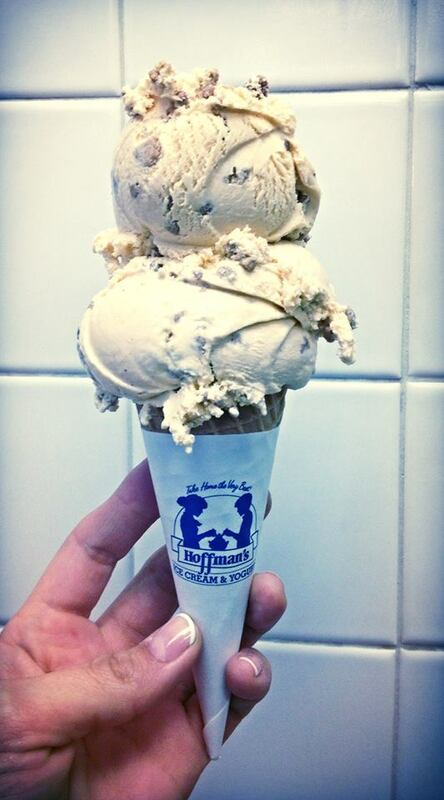 Award-winning, family oriented and homemade ice cream make Hoffman’s one of the most popular ice cream places in Monmouth County. With four locations in Point Pleasant Beach, Spring Lake Heights, Little Silver and Long Branch, Hoffman’s is definitely worth a visit after spending a day at the beach. Flavors include Sea Salt Caramel Latte, Jersey Monkey, award-winning Fudge Mint Cookie and Peanut Butter Nugget. If you are up for a challenge, Hoffman’s has the “octopus challenge”, eating eight scoops of ice cream for a prize. 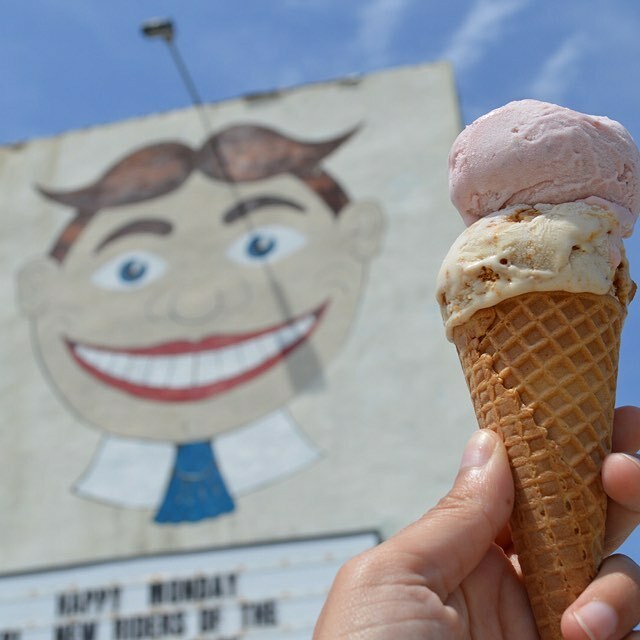 Located in downtown Asbury Park, Cookman Creamery is one of the newer ice cream shops in Monmouth County. They focus on handmade ice cream using fresh, local ingredients. They also cater to different dietary needs with vegan, gluten-free, dairy-free, and sugar-free products. Flavors include Blueberry, Lemon Cookie, Speakeatery, Nutter Brudder, Thunder Road, Blue Lavender, Green Tea and Cookie Butter. It’s definitely a place to check out if your looking for unique flavors. Located in Tinton Falls, NJ, Ryan’s actual started out as a Carvel in 1968, but the Ryan family decided to make it their own in 1988. Ryan’s pays attention to the small details that make a big difference in their product. Their Jersey Peach Ice Cream is made using peaches from nearby Delicious Orchards. The use of local, fresh ingredients enhances their product and keeps customers coming back for more. If you’re looking for an ice cream cake, Ryan’s is the place to go. Instead of frosting their ice cream cakes in whipped cream, the use ice cream so its ice cream both in and out of the cake. Ryan’s is also great for a sweet treat after a night out in nearby Red Bank, NJ. Details matter at Ryan’s and it keeps bringing customers back. 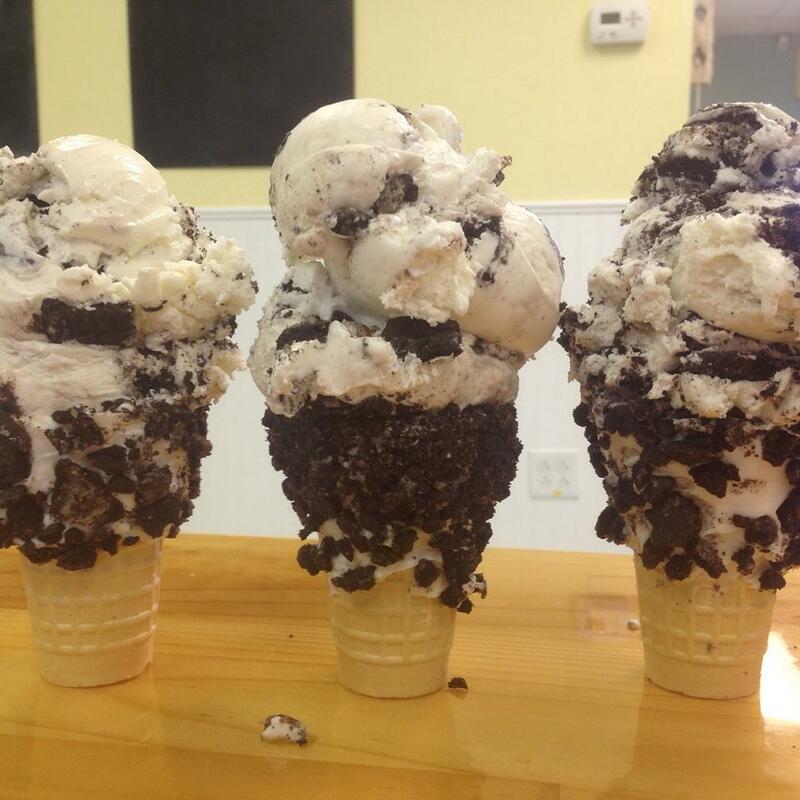 Located in the quaint little town of Monmouth Beach, NJ, Surfin Sundae is a family-owned ice cream shop that focuses on making their homemade ice cream in small batches. Flavors are created “in the moment” and they LOVE flavor suggestions. Some unique flavors include Mexican Chocolate, Vegan Mint Chip, Buttery Popcorn, Almond Brittle and Brown Butter, Hawaiian Punch and Vegan Peanut Butter with Cayenne Pepper. Whether you just spent the day at one of the many beach clubs in nearby Sea Bright or grabbed a bite to eat at My Kitchen Witch Cafe, Surfin Sundae is definitely a place to check out. Belmar, NJ is popular for many things: the beach, the marina, weddings, nightlife, the annual St. Patty’s Day parade and the cuisine. From Surf Taco, to Federici’s on 10th, to Klein’s Fish Market and many more, Belmar is a great place to spend a weekend at the shore. With that being said, a weekend at the shore is not complete without ice cream. 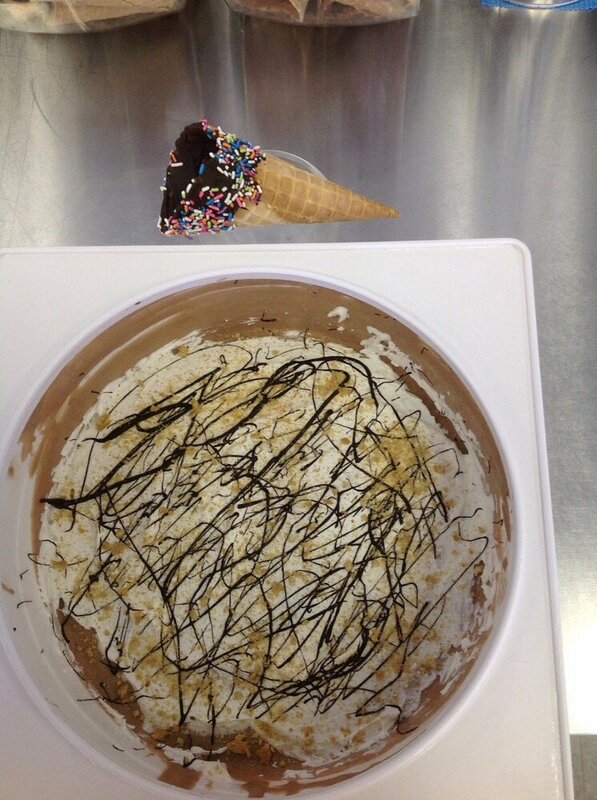 Located right on Main Street, Niki Maccanico’s serves up the best homemade ice cream in Belmar. Classic flavors include Homemade Vanilla, Chocolate, Coffee, Cookies n Cream, Cookie Dough and Vanilla Chip. Other flavors include Chocolate Sea Salt, Hawaiian Delight and Cinnamon. A day (or weekend) at the Jersey Shore must end on a sweet note. 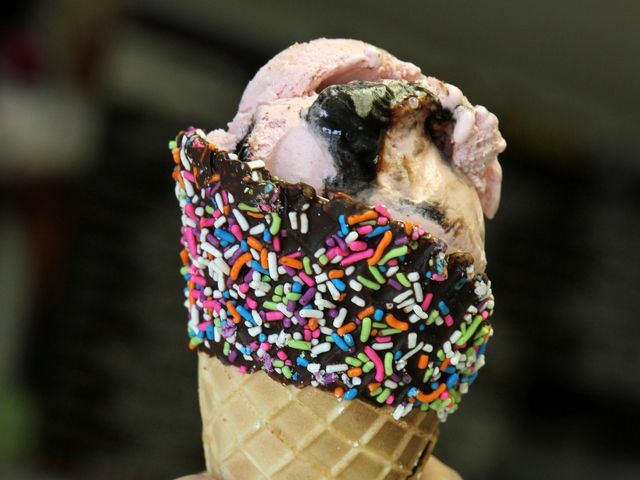 Whether you’re in Northern Monmouth County or Southern, there are ice cream places to satisfy your sweet tooth. Monmouth County is a great place to visit not just in the summer but all-year round because it offers so much more than the beach.